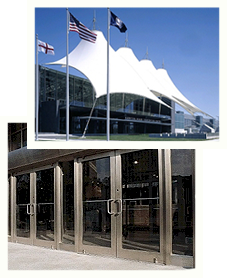 Effective January 1st, 2008, we purchased the WIKK balanced door product line from WIKK Industries. This acquisition will enhance our current product line, and enable our company to provide our customers with a product that is in great demand. Please note as of January 16, 2006, WIKK stopped manufacturing new door projects. Replacement parts for doors in the field are available. If your doors were manufactured before 1979, please call us. IT IS ESSENTIAL THAT YOU DETERMINE THE VINTAGE AND MODEL OF YOUR DOOR TO DETERMINE WHICH REPLACEMENT PARTS ARE REQUIRED! The information supplied on this page is for current models ONLY! If your door differs in any way, please call us. 1. Select your door model from the list below. 2. Print out the Parts Listing and/or Schematic as needed. 3. To obtain quotes and lead times for parts, please fax the appropriate parts listing with quantity, finish and handing OR call us at 1-800-243-WIKK or 1-800-995-0573.